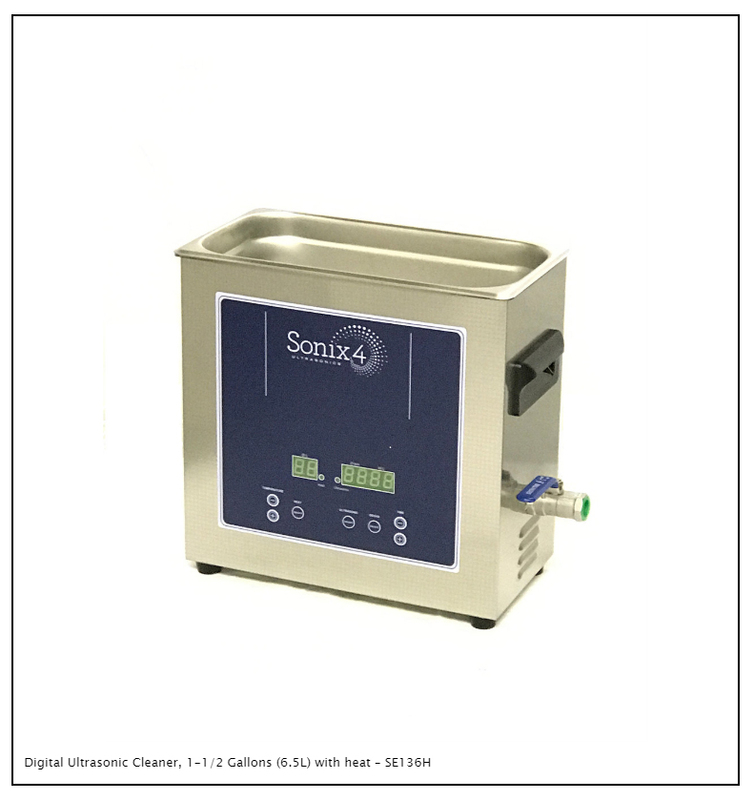 This compact 1.5-gallon size benchtop Ultrasonic Cleaner with Digital Timer and Temperature Controls is ideal for sterilization areas and labs. The digital controls provide for accurate and repeatable cycle times with the push of a button. And, the temperature control maintains optimum cavitating temperatures. 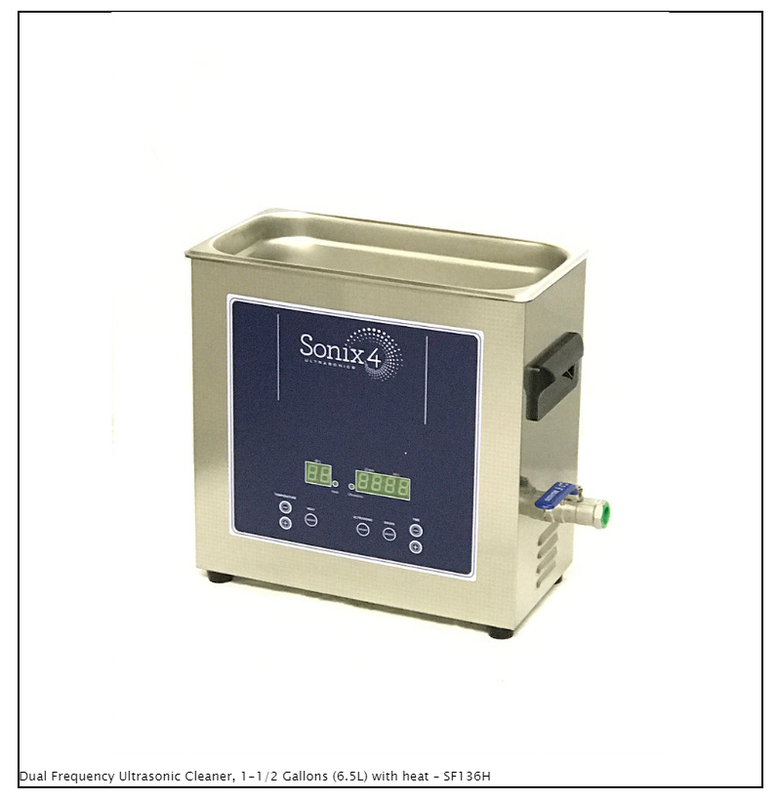 This compact 1.5-gallon size benchtop Dual Frequency Ultrasonic Cleaner with Digital Timer and Temperature Controls is ideal for sterilization centers, jewelers and labs. The digital controls provide for accurate and repeatable cycle times with the push of a button. And, the temperature control maintains optimum cavitating temperatures. 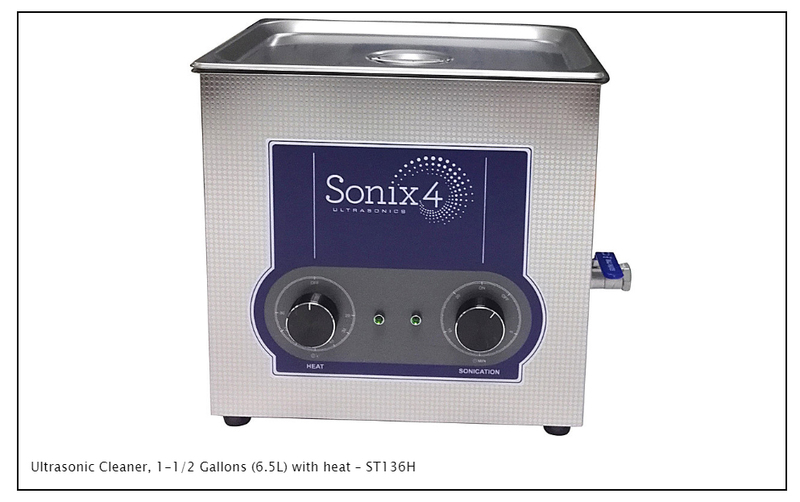 This benchtop 1.5-gallon size Ultrasonic Cleaner with Timer and Temperature Controls is ideal for sterilization areas and labs. The easy to use timer can be set for up to 20 minutes for cleaning cycles while the temperature controller maintains optimum cavitating temperatures.